Yes…we are back! Olde Good Things is back in Manhattan at our new location at 2420 Broadway. Even bigger and better than before, our distinctive Upper West side location offers more than 4,000 square feet of browsing in an atmosphere of fine architectural salvage from some of the most historic buildings and venues in the region.. Housed in a 12 story, pre-war building, some of the finest antique and vintage inventory on the entire East Coast is just waiting to be discovered by the right person. We specialize in custom made reclaimed and live edge wood tables, along with our one-of-a-kind “altered antiques” line of reclaimed wood. Our stock includes customized farmhouse style dining tables, side tables, shelving units, and more! Also featured at this location are literally hundreds of light fixtures! Choose your style from a selection of Mid-Century, traditional, industrial, and nautical lighting. From chandeliers, to standing lamps, to pendants and outdoor lighting, Olde Good Things has it all. 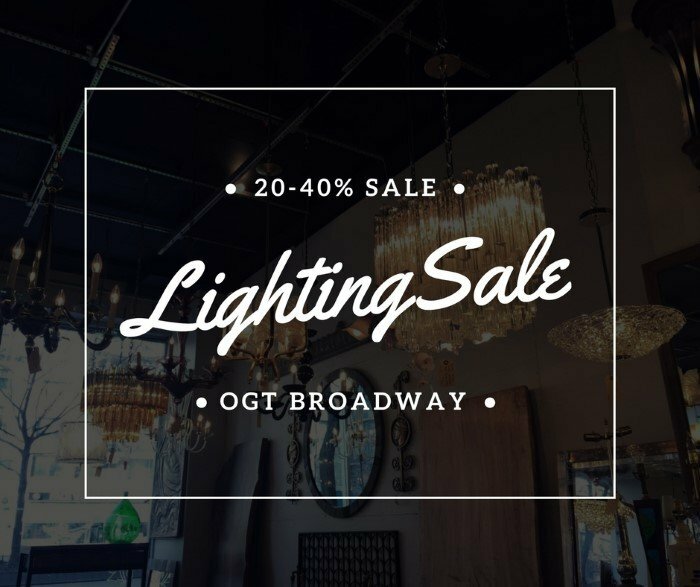 All light fixtures are on sale now from 20 to 40% off, just to show how glad we are to be back in the neighborhood. Click here to watch a slideshow video of the store. The best architectural salvage for dabblers, connoisseurs, set and stage designers, and remodeling and construction professionals can all be found at one of our NYC architectural antique stores. Just a few minutes walk from the 86th Street transits and Central Park West, Olde Good Things Broadway store is convenient to theaters, restaurants, hotels, and New York City’s most famous museums. We also have two extensive warehouses in Scranton, PA, and a store in Los Angeles for West Coast patrons. To learn more about our other locations, click here.